Workplace Deaths from Industrial Accidents on the Rise in the U.S. Workplace deaths from industrial accidents is on the Rise in the U.S. according to recent studies. Most Californians do not go to their jobs with the idea that they could be injured or killed at their workplaces. Unfortunately, many people suffer serious injuries or fatalities while they are working on the job each year. Recent data shows that the number of workplace fatalities across industry sectors sharply increased from 2015 to 2016. 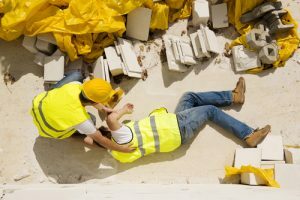 If you have lost your loved one in a workplace accident, it is important that you speak to an experienced Los Angeles personal injury attorney for help. 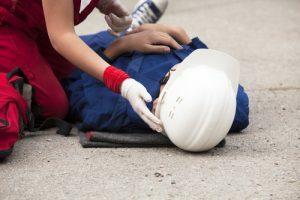 According to the Census of 2016 Fatal Occupational Injuries Report that was released by the U.S. Bureau of Labor Statistics, 5,190 people were killed while they were working on the job during the year. The number of fatalities increased by 7 percent over the number of workers who were killed in 2015. The fatality rate increased from 3.4 deaths per 100,000 workers to 3.6 deaths per 100,000 workers.